Having a session with a professional and experienced instructor can be useful for the players at every level. Try to make your stance in a stable form for a comfortable stroke and offer stroke clearance. During the whole stroke, always keep your grip in a less rigid form. Try to use a bridge length that is suitable for you and a particular shot. While checking your cue alignment and focusing, try to keep the cue still and don’t move your eyes. When it comes to stroke technique, you should never rush the transition between the forward and final backstroke. You shouldn’t drop the elbow while stroking into the ball. Don’t move your body parts too much during the stroke and stay down during the shot. Always use an appropriate speed during any given shot. A rolling CB heading towards the natural angle direction is predicted by 30-degree rule while the 90-degree rule can predict the CB that head towards the tangent line for stunning shots. You can make adjustments and apply the 30-degree rule easily by Dr. Dave rule, which is a peace sign technique used for a variety of shots and situations. The CB will deflect nearly three times the cut angles for a fair full hit with a ball that hit fraction more than ¾. On the other hand, the CB will deflect around 70 to 75% of the angle between the tangent line and the aiming line for a fairly thin hit with a ball hitting fraction less than ¼. Excessive speed shifts the cue-ball down the tangent line prior to curve to the final direction with all the shots. Always utilize a stable and determined pre-shot routine. Always ensure that your vision center is aligned in a proper way. One of the best tools for visualization is the Ghost-ball aiming that is an imaginary position used for making a shot. Other visualization tools that can be useful in the pool game are the contact point to the contact point and double the overlap aiming system. In order to help your focus, you can also use your cue. Always ensures that all the shot are observed in a consistent and purposeful way. Hit a Million Balls is known as the perfect system for aiming process. The perfect height of tip for speed control is 1/5th of the total radius above the center. The CB travels around 1/7th of the distance of the OB after impact with fully-hit rolls CB shot. The CB and OB separate at close to the same angle and same speed after a rolling CB half ball hit, whereas the CB and OB get separated at the same distance and same angle with a 45-degree angle stun shot. While planning position, it is extremely necessary to know about the different useful CB-control reference lines. You can achieve control over the CB travel distance with much effort with the natural rolling follow shots. For having a better control over position, you should try to leave an angle and then come into the line of a shot. Also, there are many options for position control while leaving yourself straight in. You can get assistance from pocket cheating while making an angle. There are many positions offered by the Rail cut shots on the control positions. You can increase the margin for error by coming off a cushion while aiming a position that is near to a rail. The 45-degree rule is extremely useful for the position play as it predicts a ball that rolls into an end cushion near to a 45-degree angle heading close to the table’s center. Practicing the positioning the CB towards the table’s center can be useful in lots of game situations. 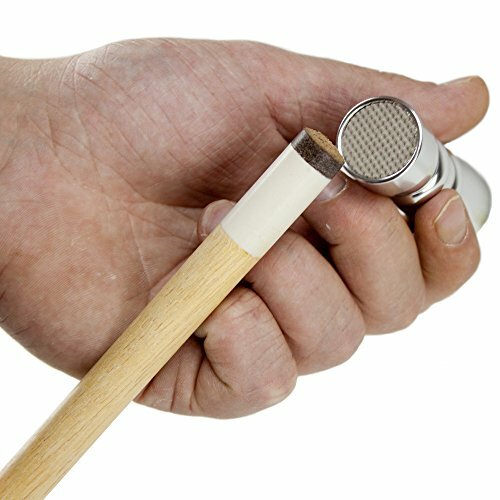 Always ensures that your grip is pretty relaxed and keep your cue as level as possible. Also, your tip needs to be well chalked and speed your cue smoothly towards the ball. If you are looking for the best draw distance control, then utilize the increased spin with a lesser speed. However, if you want a stun-back shot, then a firm hit near to the center can provide a superior CB distance control with a much more controlled amount of draw. There are some other things that you need to keep in mind while drawing a shot. Firstly, you should only elevate the cue when you require quick draw and never push the miscue limit so much during the long power draw shots. Secondly, you can utilize the trisect system for predicting the final CB direction with a perfect action draw shot. At last, you can make an easier draw with a lighter CB and on the slicker cloth. You should try to implement the best practices that mainly focus on how and when to play the safety techniques. Try to avoid bumping or disturbing into the table’s other balls if it isn’t needed. In order to enable a greater range of tip positions without cue elevation, you should keep the CB away from the cushions. Try to move the balls that can clear the path for the other balls as soon as possible. Also, break out the clusters and connect with problems as early as you can. 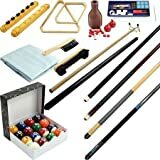 You need to select stripes or solids in a wiser way and recognize the key balls for the game in 8-ball. You should play with a safety in the start of the game if you can’t run-out in 8-ball. During the availability of the insurance ball in 8-ball, always break out clusters. In addition to that, you should break out problem balls and clusters at the appropriate time in 9-ball. One more thing to keep in mind is that missing very near to the pocket can be wonderful in 8 ball, but it is not suitable for the 9-ball. We strongly believe that these tips will help you in improving your pool game to a bigger level.